Boy oh boy these last few days are rough ones!! Only 12 more days for us!!! We have been staying busy with many different projects, including famous American biographies and Insect Research Projects. 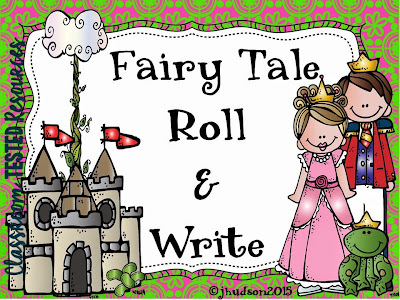 Next week we will turn our attention to Fairy Tales. My girls are especially excited!! 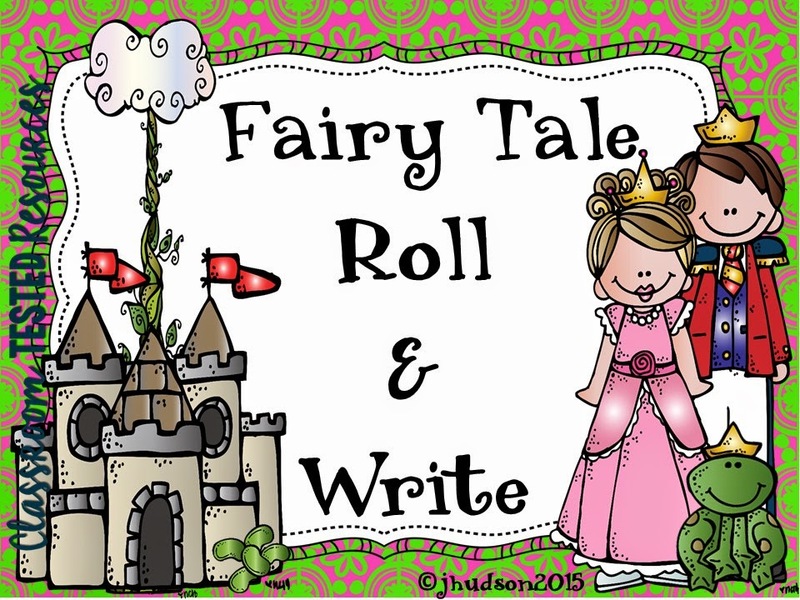 So I developed my latest Roll & Write Center!!! "I don't know what to write about?" Take a peek at the Cinderella Board!!! Don't you just adore the clip art?!?! I used clip art from Melonheadz Illustrating!! One of my all time favorite clip artists, whom I hope to meet in Vegas!! 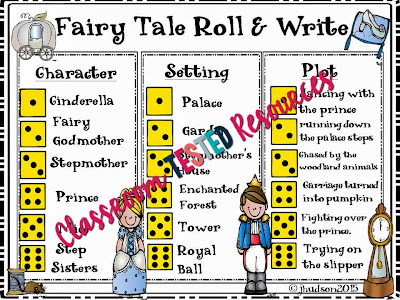 Click on Fairy Tale Roll & Write to try this and other writing centers. Good luck surviving the last CRAZY DAYS!! !